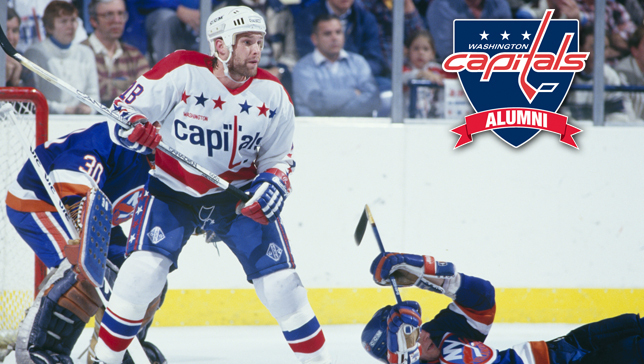 For former Capitals forward Craig Laughlin, most of his life has revolved around the Capitals. Since 1990, he’s worked as the team’s color analyst on television broadcasts and is heavily involved in the community work that the organization partakes in. Before that he spent five and a half seasons of his NHL career in Red, White, and Blue. While the younger generation of Caps fans will know him for his work with Comcast SportsNet (formerly Home Team Sports), older fans may remember him during his playing career with the team. NoVa Caps is taking a look back on the celebrated Washington career of “Locker”. Locker came to the Caps in what many consider to be the best trade in franchise history. With the team struggling to find success (they had never made the Stanley Cup Playoffs in their eight-year existence), newly-hired General Manager David Poile sent two of the team’s highly-touted young players, Ryan Walter and Rick Green, to the Montreal Canadiens in exchange for Laughlin, Rod Langway, Brian Engblom, and Doug Jarvis. The acquisition of these four jolted the Capitals into Cup contenders, and set them up for a substantial amount of success. While the others (Langway in particular) would play their part in helping the team reach the Playoffs, Laughlin proved to be a productive offensive player during his time with the Caps. During his five and a half year tenure, he averaged 18 goals, 29 assists, and 47 points. In total, he scored 110 goals, 173 assists, and 283 points in 428 games played. In the playoffs, he scored 10 points (six goals, four assists) in 27 games played with D.C. For advanced stats fanatics, he averaged 0.66 points (0.26 goals and 0.40 assists) per game during his time in Washington. Midway through the 1987-88 season, Laughlin was traded to the Los Angeles Kings for defenseman Grant Ledyard. He retired in 1990 and joined the Capitals as a color analyst on the team’s television broadcast. And he’s been in that role ever since. 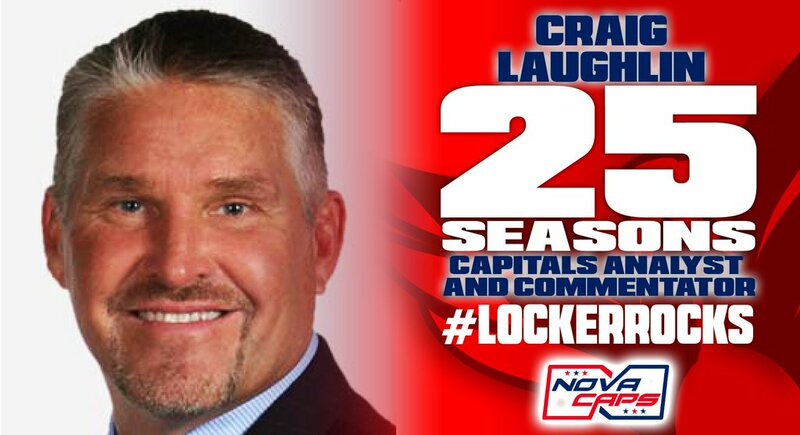 Entering his 26th season as a broadcaster, Locker has stayed heavily involved in the Caps community, participating in charitable events, the team’s annual Fan Fest and alumni game at Kettler Capitals Iceplex, the Caps Conventions, and even the 2011 NHL Winter Classic Alumni game. Craig Laughlin has had many memorable moments during both his playing and broadcasting careers and it’s likely he’s nowhere near finished providing Caps Nation with plenty more! This entry was posted in News, NHL and tagged Craig Laughlin, Michael Fleetwood, Washington Capitals Alumni. Bookmark the permalink. Great article. You can’t help but to love him and Joe B when they do a game. They work so well together and you can tell they enjoy each other and they have fun doing it..